An unflinching look at the lives of two drug dealers. As I write, the sequel to Trainspotting (the annoyingly titled T2) continues to make a sizeable dent in the UK box office. It’s a testament to the lasting cultural impact of its predecessor that T2 has had such success, with the promise of ‘catching up’ with these characters serving as T2’s central hook (‘choose history repeating itself’, indeed). Trainspotting is certainly a remarkable film, and one which inspired a myriad of movie imitators to position drugs as a central theme: some explicitly anti-narcotics, a few portraying the excitement of intoxication, with others just simply featuring drugs as if the presence of contraband substance within the narrative was excitement enough (my favourite of the post-Trainspotting bunch is the ropey, harmless Human Traffic - ‘nice wun bruvvaaaah’!). All of this is to slightly miss the point of Trainspotting however, where the vital plot element is not drugs per se, but instead the interpersonal relationships of a vividly characterised group of friends which powers the narrative dynamic. The presentation of the drug experience in Trainspotting is a heavily stylised catalyst for this scenario; a high gothic pretence of ceiling babies, fathomless toilets and shifting scenery. Even when Trainspotting is presenting the drug ordeal as negative, its crafted artifice is always cinematically exciting: we, the audience, are at a remove from the experience. 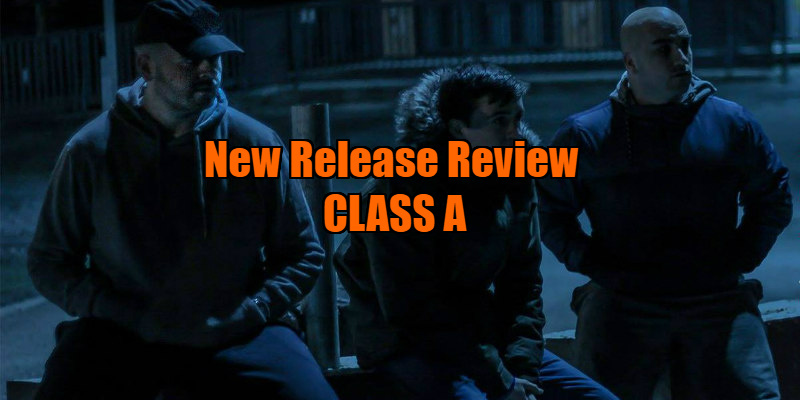 Which brings us to the pitiless verisimilitude of Irish filmmaker Stephen Gaffney’s Class A. Gaffney, who made last year’s Bully, is an unflinching chronicler of the contemporary underclass experience: Ken Loach without the heavy-handed moralising. In Gaffney’s gritty films, events are presented hard and direct, through raw storytelling which at times may be nihilistic, but is always authentic. As I write, I’m sketchy and tired: last night, on my way back home wandering back through town, some poor chap collapsed in the dark across the street from me and began vomiting and convulsing. I rang the ambulance, we did our best to put the guy in the recovery position, and when the paramedics arrived - cutting off clothes, attaching ECGs - it became clear the fella was overdosing on something. Standing there in the rain, I thought of the ignominy of it all. That while no doubt countless others were harmlessly relaxing with a smoke, chewing their face off in a club, or indulging in blissful chemsex, this was the reality for others: shuddering alone in the rain on a street in South Wales with some stranger making judgements about you while an ambulance driver cuts off your jacket with scissors. The grim mundanity of it is what repulsed, the quiet lack of drama that cinema seldom replicates. It’s a point of view, however, that Class A captures with a meticulous and merciless eye. Nominally a thriller about two drug dealers (John Dalessandro and Callan Cummins) blackmailed by a bent copper, the film is more a loose chronicle of low life drug experience. Erica Keegan’s cinematography is the murky hue of old dishwater as it presents the dull routine of these would be big men: a series of bus stops, grey front rooms, and petty bargaining. Cutting ketamine is explained in tedious detail, and even the on-screen presentation of the real-life internet black market ‘Silk Road’ (part of an interesting sub plot that probes the changes within the ‘industry’) exposes it as a grubby website stuck in Yahoo-era coding. Actual drug use is mechanical, a habitual and joyless effort; there is a montage of various people taking turns to cram themselves into a toilet cubicle to share some gak; the camera shoots this in high angle, flattening the action into bland, sheep-like motion. The monotony of the drug experience: from buying to selling, taking to taking more; all of this is realised in grim detail, a convincing lack of glamour that is rare in drug cinema. Gaffney’s characters are trapped within the concrete shells of their homes and streets, locked within a hierarchy of exploitation that is revoltingly manifest in its influence. As I write, the disturbing experience of Class A lingers like the scent of old smoke. Towards the end of the third act, the various loose plot threads coalesce and tighten, and the parasitical relationships of the film reach violent and fatal consequence: vivid events which are shocking for their juxtaposition with the more downbeat scenes which have preceded. It’s a mark of Gaffney’s confidence that he saves his more explosive storytelling until the end, rendering these scenes all the more sadly inevitable. A micro-budget production, Class A is not without flaws: the sound mix is awful, and certain scenes drag (which I get may be by design, but still). However, the performances in Class A may be likewise coarse but they are always convincing. Like Bully, this is an uncompromisingly realised depiction of a lifestyle that is a terminal reality for many. Gaffney continues to prove himself as a filmmaker with raw talent and a cinematic eye as hard and as sharp as a needle. 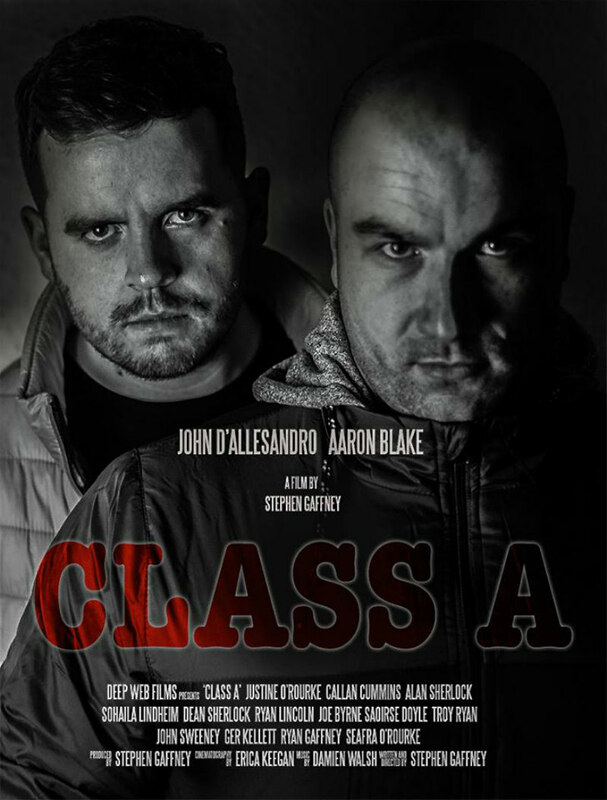 Class A is on VOD and DVD now.